ACO PREMIUM – 8Bd with Private Pool and Grill (1804) in Kissimmee is a holiday home with 1 room. ACO PREMIUM – 8Bd with Private Pool and Grill (1804) offers accommodation in Kissimmee, 22 km from Kissimmee Sports Arena & Rodeo and 24 km from Lakefront Park. The Plaza del Sol Kissimmee is within 26 km of the holiday home. The holiday home is composed of a fully equipped kitchen, and 1 bathroom. A flat-screen TV is offered. A car rental service is available at this property. Fun 'N' Wheels Fun Park is 26 km from the holiday home, while 192 Flea Market is 29 km away. The nearest airport is Orl...ando International Airport, 52 km from the property. ACO PREMIUM – 8Bd with Private Pool and Grill (1804) offers accommodation in Kissimmee, 22 km from Kissimmee Sports Arena & Rodeo and 24 km from Lakef...ront Park. The Plaza del Sol Kissimmee is within 26 km of the holiday home. The holiday home is composed of a fully equipped kitchen, and 1 bathroom. A flat-screen TV is offered. A car rental service is available at this property. Fun 'N' Wheels Fun Park is 26 km from the holiday home, while 192 Flea Market is 29 km away. 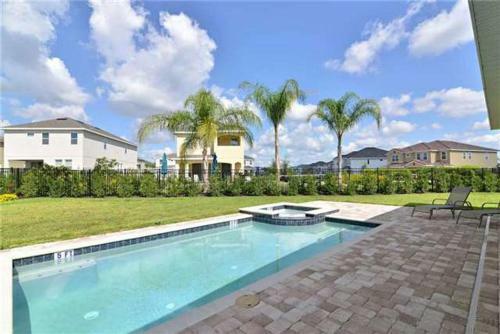 The nearest airport is Orlando International Airport, 52 km from the property. When would you like to stay at ACO PREMIUM – 8Bd with Private Pool and Grill (1804)? Guests are required to show a photo identification and credit card upon check-in. Please note that all Special Requests are subject to availability and additional charges may apply. Please inform ACO PREMIUM – 8Bd with Private Pool and Grill (1804) in advance of your expected arrival time. You can use the Special Requests box when booking, or contact the property directly with the contact details provided in your confirmation. This property will not accommodate hen, stag or similar parties.